My original model today cancelled on me and then my sister called me out to the beach to help her with the kids. 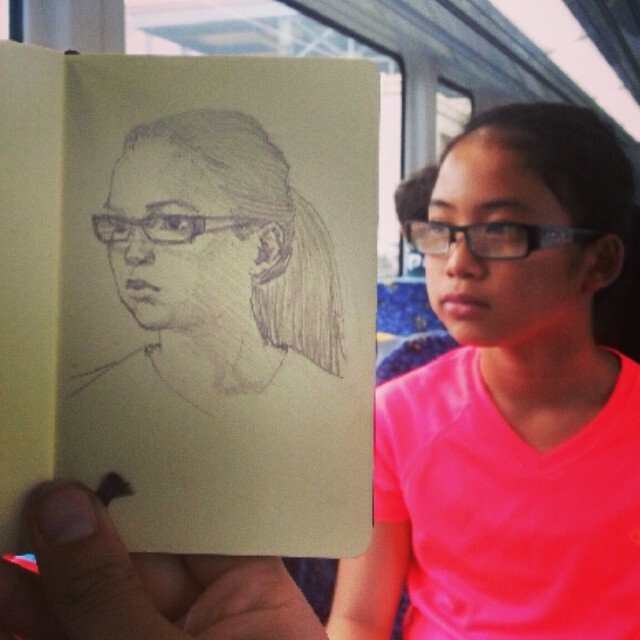 So I decided I would have to do a quick sketch on the train of my niece, Sophie. I would have liked to do a more accomplished piece but.. Family is more important!